The Katholieke Universiteit Leuven, also known as KU or University of Leuven, was founded in 1425, making it Belgium’s first university. 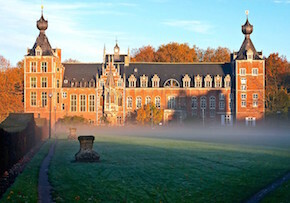 Situated in the heart of Western Europe, KU Leuven has been a center of learning for nearly six centuries. Today, it is Belgium’s largest university and also among the oldest and most renowned universities in Europe. 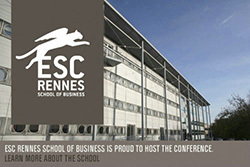 The Faculty of Business and Economics (FEB) at KU offers research-based education in economics and business science while keeping close connections with the corporate world. The FEB has a large international network with more than one in three students spending at least one semester abroad. To continue to expand this network, Katholieke Universiteit Leuven's Faculty of Business and Economics has signed a partnership with National Chengchi University and each university will be sending 2 students on exchange to the partner university. Faculdade de Economia Universidade Nova de Lisboa was established in 1978 and has since occupied one of the top positions as innovator and leader in business education. In 1982, the school established Portugal’s first full-time MBA program, along with which they incorporated fully English-taught classes. In 2004, Faculdade de Economia Universidade Nova de Lisboa received EQUIS accreditation by the European Foundation for Management Development. Moreover, the school received AMBA accreditation by the Association of MBAs and AACSB accreditation, becoming the first business school in Portugal to receive three of the most reputable international accreditations. Faculdade de Economia Universidade Nova de Lisboa is now one of the world’s top business schools, recently being selected as the Portuguese representative at CEMS (Community of European Business Schools and International Companies), a restricted club made up of 30 of the best European schools and 50 of the top transnational companies. 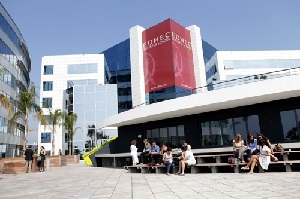 In 2009, the school established another campus, Nova Angola Business School in Africa and continues to drive Executive Education graduate programs in Brazil, Eastern Europe, etc., certifying the quality of the School’s programs as Portugal’s top university. 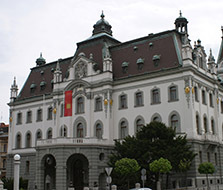 The University of Ljubljana (UL) was established in 1919 and is situated in Slovenia’s capital, Ljubljana. It was founded on the basis of centuries of educational tradition and is the most large-scale university in Slovenia, with over 50,000 current students and 130 different majors and study programs. As the country’s economy grows rapidly, UL progressively develops into an internationalized university. In the last ten years, UL has eagerly participated in global academic research projects and various education programs. In 2013, UL cooperated in 421 EU projects and was also present in Slovenia government-hosted cooperative education programs. In addition, UL is a member of numerous international networks in Europe, Australia, Central America, and other countries. These networks have allowed student exchanges with over 500 universities. 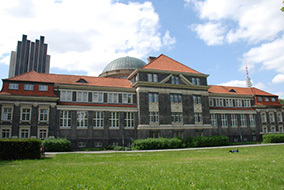 The university also cooperates with more than a hundred universities across Europe, allowing students to go on exchange in many different countries. Under these programs, UL continues to provide the best opportunities to both outgoing and incoming exchange students from other universities. From classroom lectures to housing, UL provides a complete service that allows exchange students to fully immerse themselves in this unique educational and cultural experience. 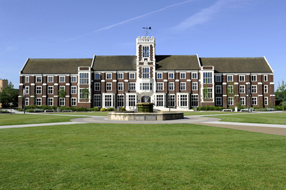 Loughborough University was established as a Technical Institute back in 1909. In 1963, Loughborough received the recognition of the British Royal Family and was officially named Loughborough University, becoming England’s first technological university. The school is located close to East Midlands Airport and London, one-and-a-half hours away by train. Loughborough is one of the largest single-site campuses in England. After over a hundred years of hard work and dedication, Loughborough University has broken the record in receiving a total of seven prestigious Queen’s Anniversary Prizes for Higher and Further Education. In the Sunday Times University ranking, Loughborough was ranked 21st in 2014. As for the College of Commerce, it continues to work toward becoming more globalized, with a third of its students and faculty coming from all over the world. The University has also received EQUIS, AACSB, and AMBA accreditations, becoming within the top 1% of elite business schools in the world. National Chengchi University’s College of Commerce was the first partner school that Loughborough signed with in Taiwan. Every semester, Loughborough sends 4 number of students to Taiwan on exchange and provides exchange opportunities to 4 number of CNCCU undergraduate. The University of St. Petersburg was established in 1724 and is one of most historic universities in Russia. The University’s development is bound tightly with the cultural and scientific developments of the former Soviet Union and Russia. St. Petersburg is also a cradle for many outstanding intellectuals. The Graduate School of Management at the University of St. Petersburg has been committed to internationalization since earlier times. 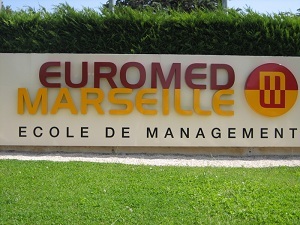 The School is not only a member of the CEMS Global Alliance in Management Education (CEMS) and Partners in International Management (PIM); it has also acquired two top international business accreditations AMBA and AACSB accreditations. 9 International Centres in areas such as the Middle East, Europe, Asia, etc. 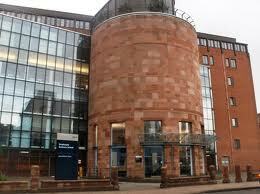 Additionally, the University of Strathclyde Business School is also one of a few business schools in the world to have acquired AACSB, EQUIS, and AMBA accreditations, arguably the world's top three business accreditations.